Sisters Inn & Suites offers guest rooms ranging from a king, queen, and two queens. Select rooms are equipped with kitchenettes, and each of our guest rooms includes conveniences like complimentary WiFi, microwaves and refrigerators, irons and ironing boards, personal climate control, complimentary toiletries, complimentary local calls, and coffee makers. We have a 24-Hour Cancellation Policy. If you wish to cancel or modify a reservation, you must do so by 3 PM 24-hours or 1 day prior to your arrival date. If you cancel or modify post the expiration of the Cancellation Period or you fail to show up, a no-show charge will be levied on your credit card for one full night plus tax. Non-refundable reservations cannot be canceled or modified - total reservation amount will be charged in case of cancellation or no-show. Special requests are subject to availability at check-in and cannot be guaranteed. Special requests may incur additional fees. 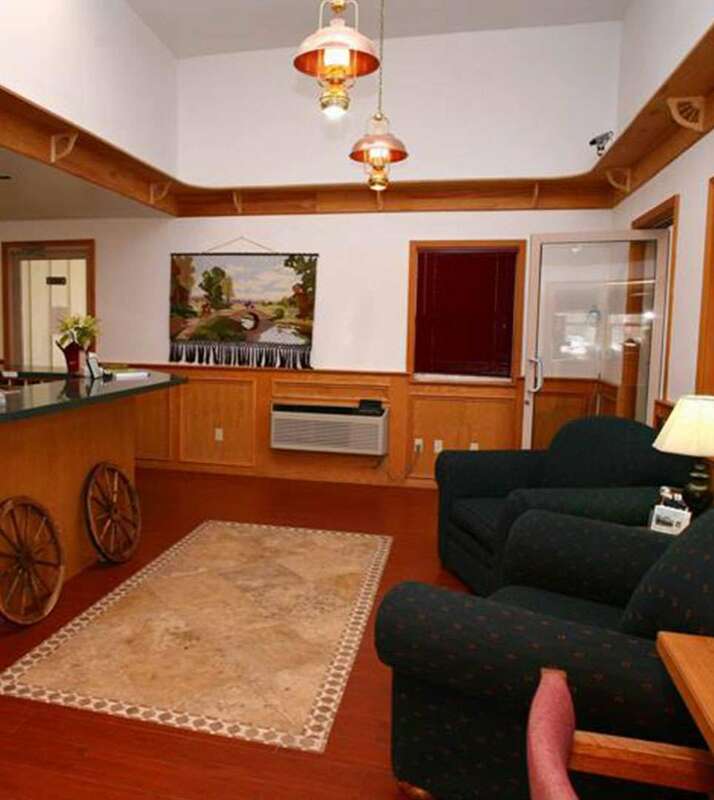 Sisters Inn & Suites is located at 605 North Arrowleaf Trail in Sisters, Oregon. Our budget-friendly hotel is close to crowd-pleasing outdoor activities like hiking, skiing, and wildlife watching. Local favorite restaurants and entertainment are also nearby. Our family-friendly hotel is only twenty minutes from the Redmond Municipal Airport, and guests of our hotel can easily access Highway 20 and Highway 242 for effortless sightseeing. Our Sisters, Oregon hotel is pleased to offer guests services like express check-in and check-out, a 100% smoke-free property, and complimentary newspapers. We also provide complimentary WiFi, complimentary self-parking, a multilingual staff, and a 24-hour front desk. Complimentary self-parking is available for guests and subject to availability due to limited spaces. Children age 17 and younger stay free when staying with a parent or guardian and using existing beds. The max number of children allowed in existing beds is dependent on the room type selected. Be sure to adhere to the maximum capacity of the room types. We have no capacity for extra beds in our rooms. ADA Defined Service Animals are welcome at our hotel. Well behaved dogs are allowed for an additional fee of USD 15 per pet, per day. Pets are only allowed in our pet-friendly guest rooms. This property is privately owned, and the management reserves the right to refuse service to anyone and will not be responsible for accidents or injury to guests or for loss of money, jewelry or valuables of any kind. Once checked in, no cancellations. All linens are inventoried: missing or damaged linens will be charged. Any damages to hotel property will be charged an additional fee upon assessment. Any damages to hotel property will be charged an additional fee upon assessment. This is a NON-SMOKING facility. Guest acknowledges that smoking is not allowed in a guest room or within hotel facility. If anyone in guest's party smokes in the guest room, guest hereby expressly authorizes hotel management to charge credit card to reimburse the property for the additional cost of cleaning guest room. Any guest who violates the pet policy will be charged a cleaning fee. If your reservation has been paid in advance or you elect to pay by cash, a security deposit via credit card will be required upon check-in and will be charged in the event that damages outlined herein occur. The hotel takes a credit preauthorization but does not accept cash deposits.